ARIES – Those couples who have been having a long-term relationship might today decide to live in. their decision will get the approval of their parents too. A business tour to an important decision is foreseen today. It might also turn out to be very profitable. Real estate agents may expect to benefit from their interactions with top officials. They could prove to be valuable resources for the agents. Politicians may be called on to mediate within the party members and resolve issues today. Sportsperson might be distracted during practice and this would injure themselves. your positive attitude and sheer determination will see you through to financial success today. 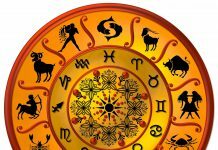 TAURUS – Your romance will today get the formal approval of your parents. Sudden illness to an elderly in the family might lead to extra expenses today with health check-ups, doctor’s visit, medicines, etc. Students are advised to avoid bad company. This might ruin their studies. Sportspersons who have trained hard for some time now will finally benefit from all their effort. They will set new records in their respective sport. Being around people who have positive energy and in positive surroundings would be very helpful to keep you healthy. GEMINI – Give some time to your new relationship to grow and develop. This will help you avoid any complications later. Unexpected problems might crop up at home or office for those who are engaged. They might have to break an appointment with their fiancee due to their hectic schedule. Parents would be very proud of their children. They would excel in their studies or co curricular activities and they would become famous. Those in the legal profession will work towards establishing their business and career. They would take the steps towards this goal today. Students might get involved in dangerous activities today. They need to be very careful of what they are getting into. Teachers will get the support of students and colleagues in overcoming a difficult situation. CANCER – Your love and care for the elders of the family will keep them happy. Their happiness would also reflect on the entire family today. Job seekers may not find favorable response from anywhere today. But they needn’t lose hope as luck will shortly change. Those in the legal profession might experience a day wasted in court. Unexpected delays will drag on the case. Students who are confident and optimistic must also work hard and sincerely to ensure progress. Sportspersons may expect to be rewarded for their achievements in their respective field. They might receive a lifetime achievement award. 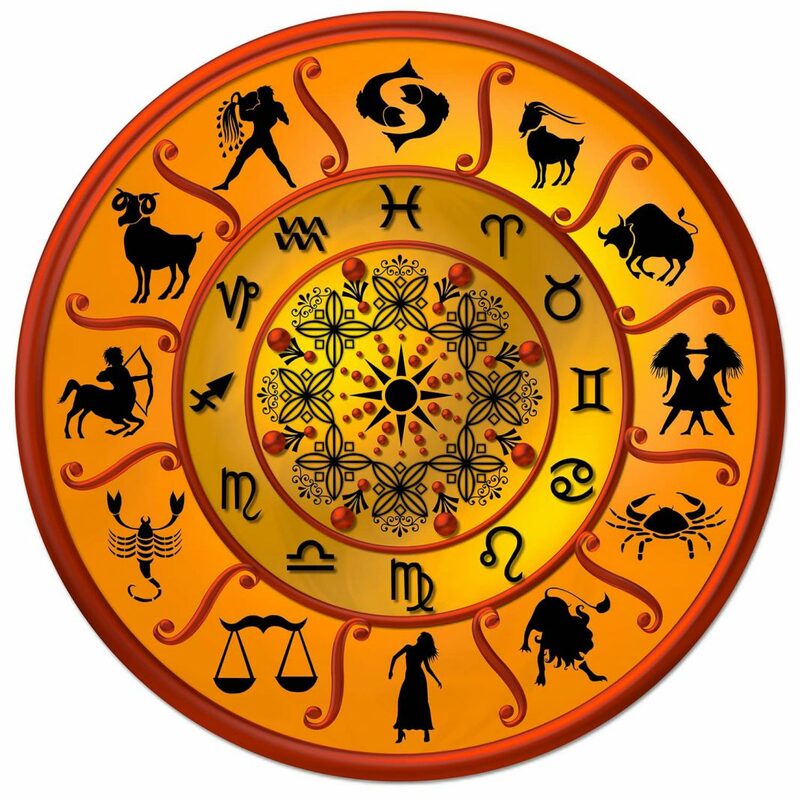 LEO – Those who are married, are advised to take the advice and opinions of their loved ones on domestic matters. You have an intense desire to travel and visit famous places around the world. You will today be able to plan your work in such a way that it can even facilitate your travel. Businessmen will make major progress in their business plans. Taking careful steps would help deal with any further complications. Real estate agents planning to renovate their houses can start work today. Any loans, if applied for, towards this, would be sanctioned without much delay. Teachers will be busy today attending seminars or workshops which may later assist them at work. You may inherit money of property today. The initial process of transfer to your name will start today. VIRGO – Those who are single but in a relationship might feel happier, in control and ready to salvage a broken relationship with their lover. An exhausting day ahead with no results in sight for the doctors involved in research work. They might even begin to feel a little frustrated. Sportsmen would benefit from the advise of friends and coaches. It would help them better their performance..
LIBRA – Reach out to the person you love and celebrate togetherness today. Those who are awaiting the results of a job interview would get a favorable result today. Real estate brokers would do well today to postpone official meetings as they may be pulled up for misrepresenting facts. Students are advised to be alert today as logical abilities might be at it’s lowest. They would also need to be serious about their group studies. Sportspersons will be very active today. They would feel very energetic and up to a challenge or adventure. SCORPIO – Couples who have been living separate for a while now might reunite in the most unusual circumstances. Children staying away from the family for studies, etc., may visit unexpectedly. Their visit will bring joy and celebration in the family. Some paperwork might delay the signing of new business contracts. It’s therefore advisable to take the required steps. Advocates will today receive offers or invitation to join as a legal advisor from reputed firms. This would herald success, money and fame for them in their career. 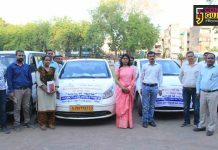 Teachers who are coaching students for their examinations and other activities will be well appreciated for their efforts. Artists, especially painters will get admission to a study arts at a recognised school. SAGGITARIUS – A family get-together at home will make the elders very happy today. They would love to interact with the kids and other members of the family. Children awaiting their examination results might be disappointed today. They might score less than they expected. A favorable time for students desiring to pursue higher studies. Teachers must show the maturity to be able to take in any feedback that comes regarding their work in a sensible fashion. Sportspersons might meet with someone today who would guide them properly in their respective sport. CAPRICON – Parents or relatives might bring suitable marriage proposals for those who are eligible for marriage. A group of explorers might invite you to join their travel. This would be a dream come true. You have always desired to gain knowledge through travel. Doctors looking for a better job may receive an offer for a secure job today from the authorities. Real estate businessmen may just relax today as personal property transactions would go smoothly. Politicians with an enterprising spirit may rise to prominence today. They would be able to advance their career and attain a higher position in their party. A tight control on finances will help maintain financial stability. AQUARIUS – The elderly in the family might like to redecorate or rearrange their room today. Help them out with their ideas and it will make them happy. Those in the technology field will today achieve their career goals. They have been working towards this dream for some time now. Accounting professionals can relax today. Long standing problems will get resolved today with help from some unexpected quarters. An energetic day ahead for sportsmen as they will feel up to any challenge. You will be in the pink of health. So you needn’t worry about falling sick today. PISCES – Romance will make you happy today but it might also be heavy on your wallet as you might have to spend money in entertaining. Elders would do much better in moving out in the fresh air than taking to drugs. Children who respect their elders and have a kind and generous heart towards the poor will gain the love and admiration of all at home and school. Those who are seeking a new job might get an offer for a new job. This will also bring them fame and recognition. Students might receive invitation to study abroad today. Artists may today look forward to some awards or rewards.